Real kids. Real research. Real results. In 2012, we launched an after school literacy program called Brain Lab. This program is designed for students in second grade through sixth grade and is offered at no cost to participants. Brain Lab targets skills such as memory, attention, processing rate and cognitive skills that are essential for reading. We utilize the software program Fast ForWord, data driven computer exercises created by Scientific Learning. 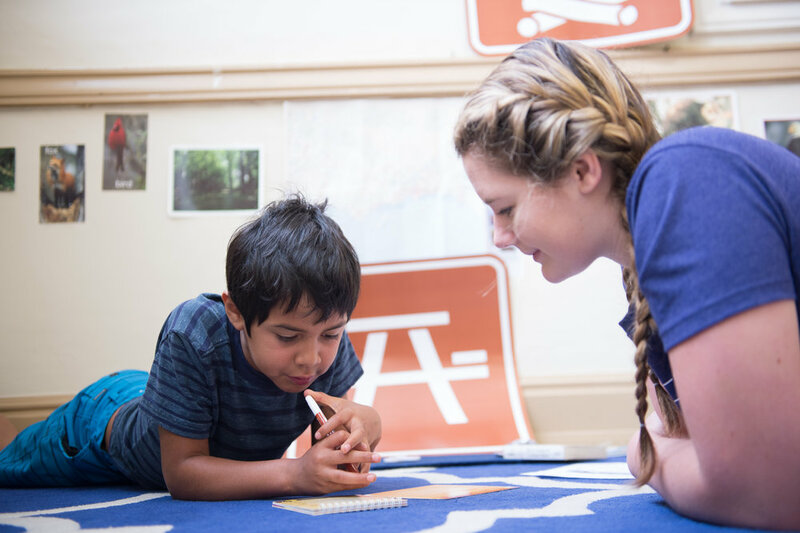 This program addresses reading and language skills while concurrently developing foundational cognitive skills like memory, attention, processing, and sequencing. These cognitive skills are central to all learning, resulting in improved outcomes for reading and other subject areas, too. This is an intensive program and requires commitment to completing a 30-40 minute session, 5 days per week. One of the 5 days will be completed at the Language Center, where the child will also participate in direct instruction with a Speech-Language Pathologist or trained volunteer to target specific areas he or she may be struggling with in Fast ForWord, or work on a goal he or she has from school.